Here is where you can learn more about Abandoned Goods. Most landlords will experience items of property or in legal terms ‘chattels’ that are left behind after the tenancy ends and the Tenant vacates the property. The law governing this situation is the Torts Interference with Goods Act 1977 Chapter 32 [known as TIGA 1977] Section 12. ‘Bailee’s power of sale’ being relevant to landlords. Much is written but not such that summarises all relevant cases and gives pragmatic advice to landlords. On the one hand, a landlord primarily is often at a loss. Otherwise they would probably be able to seek remedy against the holding deposit (providing the tenancy agreement provides for this). On the other hand, there are legal sanctions against a landlord if they don’t act in accordance with the law. This explains the law and how a landlord can work with this to minimise their voids and financial losses. ‘CONVERSION’ – taking over the rights of / treating as the owner. Also called ‘Trover’ – the legal right to damages for the value of property appropriated by another. ‘TRESPASS TO GOODS’ – can be as little as touching or moving the goods. If a tenant is in rent arrears, most landlords will know that it is not legal to seize any of their belongings. Or to retain, or hold onto them in lieu of a debt. ‘BAILEE’ – a person who has [temporary] possession of the abandoned goods (i.e. Landlord. 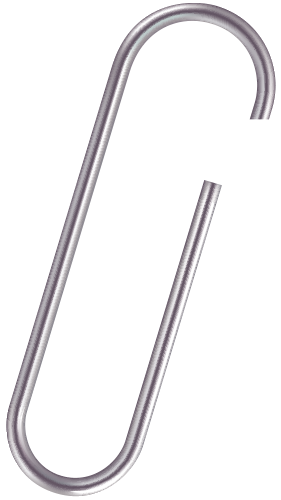 See later examples). You can reasonably expect a ‘Bailee’ to be relieved of any duty to safeguard the abandoned goods on giving notice – but is unable to trace or communicate with the ‘Bailor’. Schedule 1, Part 1 of TIGA. Allows for a ‘Bailee’ to impose an obligation on the ‘Bailor’ to take delivery of the goods. Or give directions as to their delivery and sets out the method of notification. If the ‘Bailee’ also gives notice in accordance with Part II of Schedule 1 of intention to sell the abandoned goods. Or fails to trace / communicate with the ‘Bailor’ with a view to give him notice. After taking reasonable steps and is reasonably sure that the ‘Bailor’ owns the abandoned goods, the ‘Bailee’ can sell the goods. The ‘Bailee’ can’t give a notice of intention or sell abandoned goods (Part II) if there is a dispute about all or part of what they claim to be due to him in respect of the goods. This isn’t what some have written as referring to any monies the ‘Bailor’ tenant owes, i.e. outstanding rent. Also, if the ‘Bailee’ claims any monies due in connection with those abandoned goods, the Notice period for sale / disposal shall be 3 months [Schedule 1, Part II section 6(3)]. At common law, a person may become a ‘Bailee’ by voluntarily and knowingly taking possession of goods belonging to another. A ‘Bailee’ has a wide range of duties. Including the duty to take reasonable care of the abandoned goods in the ‘Bailee”s possession. Examples of this are where an item may be taken to a trades person, such as a jeweller, cobbler etc. They knowingly take temporary custody of the item and you’ll commonly notice conditions on receipts setting out time limits. Often 3 months before the disposal of an item [as at Sch 1, Part II section 6(3) above]. An Involuntary Bailee is a person who has, without their consent, found themselves in possession of goods belonging to another. 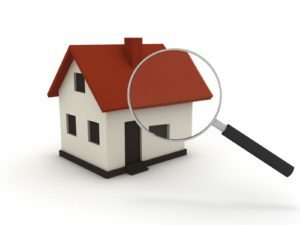 Regarding rental property, this may arise where a tenant has abandoned goods at the property after ending the tenancy. An Involuntary Bailee does not owe the same duties as a Bailee. They must not deliberately or recklessly damage or destroy the abandoned goods. Or try to facilitate return of the goods to the owner. Or persons delegated to receive them on their behalf. Shop passes on abandoned goods that a fraudulent purchaser orders. HELD: Shop is an involuntary ‘Bailee’ of goods that the fraudster orders. Shop not liable in damages to the true owner of the goods, because it did act reasonably. A coach passenger had to transfer from a defective vehicle to another. At end of journey, she could not locate her bag. HELD: The duty of care of a ‘Bailee’ is the standard one. The person in possession of the abandoned goods [passenger] proves loss / damage is not because of their own actions / fault. Where the defendant’s possession of the goods was unintentional and with no lack of care, detinue [now wrongful interference] will not lie. Just as in the pre-contract receipts from jewellers etc that we mention above. Its good practice for a tenancy agreement to have a clause dealing with this eventuality. 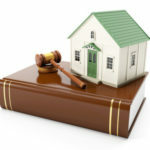 Most agreements do, either in terms of requiring the tenant to give up Vacant possession at the end of their tenancy. Legal occupation of the property. Or stating what will happen if goods are left. A warehouse had been left with rubbish – bags of hard cement in its cellars, affecting the value of the property and precludes proper use of the cellar. HELD: Vacant Possession NOT given. In terms of items left behind, just any physical impediment will not necessarily preclude vacant possession. “The impediment must substantially prevent or interfere with the enjoyment of the right of possession of a substantial part of the property”. NYK serves notice to implement their break clause, but retains employees on the site for a few days afterwards clearing their possessions. Immediately before the break clause date, they sought permission for this ‘extension’ from the owner Ibrend Estates, although they did not receive any response. HELD: that property had to be significantly empty of chattels and people for vacant possession to be given. They did quote the Cumberland case and the decision upheld on Appeal. Eminent legal advice has been to tread carefully with regard to tenants’ abandoned goods to avoid claims for damages. We outline some recent cases that help with some guidance. The requirement to have a pre-defined clause that deals with what should happen in the event of goods being left behind is good practice. However the unfair terms in tenancy agreements (see below) are overly prescriptive and not proportionate to allow landlords to deal with a few low value items of furniture. Where the loss of a week’s rent would far outweigh the value of items knowingly left behind by the tenant. Let alone retaining them in the property, effectively creating a month’s rental void. “This document issued by the Office of Fair Trading (OFT) has been withdrawn. This document did not take account of developments in case law, legislation, or practices since its original publication. It should not be relied on either as a statement of the law or Competition and Marketing Authority [ CMA ] policy. The tenant must pay a minimum charge of £100 to remove furniture left behind. The landlord will give the tenant notice that he considers that items have not been taken. If the tenant then fails to collect the items promptly, they will be liable for all reasonable costs of disposal. In the event that the tenant’s belongings are left in the property after the tenant has left it. Such belongings ae then ‘abandoned’ and the landlord may remove, sell or dispose of these without being liable to pay for any compensation. The tenant will be liable for all costs of removal and disposal. 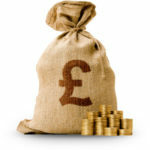 Or any other losses and these costs and losses may be taken out of any deposit. The tenant will be responsible for meeting all reasonable removal and/or storage charges when items are left in the premises. The landlord will remove and store them for a maximum of one month. The landlord will notify the tenant at the last known address. If no one choose to collect the items within one month, the landlord may dispose of the items and the tenant will be liable for the reasonable costs of disposal. The landlord may deduct costs from any sale proceeds or the deposit. And if there are any costs remaining they will remain the tenant’s liability. In short (as CMA37 is some 144 pages), there is now black-list terms. Such as those that waiver serious illness or even death upon fault or claim against the supplier/business. And grey-list terms that could in some circumstances be unfair (still subject to determination by the courts of law of course). Suffice to say, the proposals for dealing with abandoned goods via TIGA are not at variance. In fact, the Unfair enforcement powers [para 5.32 below] actually provide for how this should be dealt with. 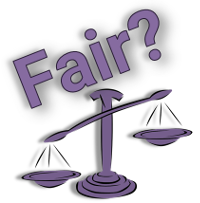 We would suggest that landlords rely on the ‘fairness test and good faith’. In the actions they carry out by inserting a clause in the Tenancy agreement. And promptly using the TIGA Notice within the timescale. Fairness to both sides is the contractual agreement [AST]. 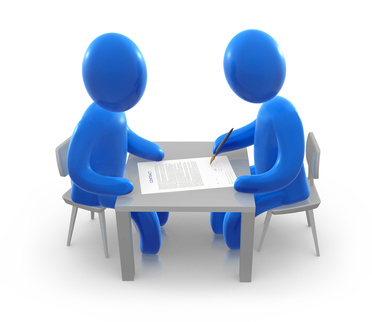 That stipulates the landlord offers the use of the property between the agreed dates for the agreed amount. Outside of these dates the property owner has to rely on other tenancies. These other tenancies help fund the mortgage and financial burdens of a landlord. There is no detriment to the consumer. Its common practice to pay for what you use. Try leaving luggage in a hotel whilst you go away on holiday. Or asking to park your car there without charge. The landlord’s circumstances are no different. As for ‘good faith’ – both parties expect each other to abide by the terms of the agreement, ‘end of’. The tenant signing to give vacant possession and cease using the property upon termination of the tenancy. There is nothing in the tenancy clause (see later, after the case of Campbell v Redstone). Or the subsequent use of the TIGA notice that contravenes the guidance that replaces CMA37, in fact the contrary. ‘2.25 Economic research has drawn attention to a number of factors that the CMA considers are potentially relevant to the assessment of fairness. One of these is that most consumers do not read standard written contracts thoroughly before making a purchase. How does a landlord address this concern? As in fact his dealings with letting agents often reveal the same trait, ‘Where do I sign?’ without taking the time to read several pages of small text (we don’t advise this). We recommend that landlords send a copy of the draft tenancy agreement (with no signature) to the tenant by email, receiving acknowledgement. 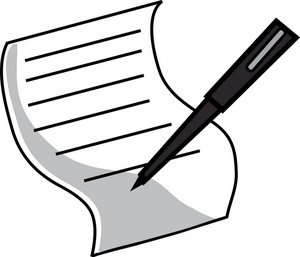 When a tenant is met at commencement of the agreement to go through the inventory, ask ALL tenants to sign at the bottom of EVERY page of the AST. The landlord can ask that they initial the paragraph dealing with giving up vacant possession. 5.6.4 The CMA has no objection to terms which, for example, allow the trader to charge reasonably for dealing with problems which arise owing to the consumer’s fault (but see paragraph 6 of the grey list at paragraphs 5.14.1 to 5.14.10 on the need to avoid imposing any unfair financial sanction – none of which impact on abandoned goods, especially where there isn’t a claim for any charges). Concerning disposal of tenants ‘chattels’ after tenancy. There were several subsequent visits by the tenant to remove ‘some’ of his possession well after this time and subsequent warning notices. On a fourth visit some two months later, the tenant found that the mortgagee’s contractors did remove and dispose of all his possessions. The claim for value of the abandoned goods was £800,000! Although with evidence and sceptically received by the judges. The Court of Appeal judges held that the tenant had an obligation to deliver up vacant possession on execution of the warrant. They held (re-affirming) that the duties of an involuntary bailee was to do what was right and reasonable. The claimant did contest that the mortgagee did breach the terms and conditions of the mortgage agreement. Section 9 which stated that steps would not be taken for a period of 7 days. The period running from the date notice was given to the mortgagors at their new address or, if no such address was given, 7 days after they left the property. ➀ If you have left any goods or animals at the property, we may take the following steps on your behalf and at your expense. Firstly, we may remove and store the abandoned goods and animals. ➁ ‘Then’ (this word was deliberated as having preferably been drafted as, ‘ OR’ – but did not impact the outcome). ➂ We may either dispose of them or if we know that they do not belong to you, return them to their owner. – if you have not given us your new address, within 7 days after you left the property. The tenant’s appeal was dismissed. This is a £500,000 mortgage that after many suspended possession orders since 2007 and part repayments, is eventually granted in 2014. “6.1 If we [i.e. Redstone] or a receiver take possession of the property, you [i.e. Miss Campbell] must, on Notice, remove all of your furniture and belongings. If you have not done so within 7 days of the Notice, we may as your agents remove, store or sell any items left behind. Evidence was also given that estate agents acting for the Mortgagee also chose to display similar notices at the property, pursuant to T.I.G.A 1977. There were protests, demonstrations, writs to prevent mortgagee from continuing to remove abandoned goods, refusal of permissions to appeal, High Court Enforcement bailiffs, etc. A number of visits to the property were made by tenants after the warrant for possession to remove items but they hardly did retrieve much. This did frustrate the re-possession, including barricading themselves inside. Eventually after more notices and several opportunities to remove abandoned goods, contractors acting for the mortgagee remove about a dozen van full of items which they dispose of. There was a dismissal of a subsequent claim for the mortgagees to deposit £1 million on account to the court pending a trial for damages. Mr Diaz was a law student renting a room when his Landlord chose to evict him and consequently chose to remove his possessions. A separate trial on that matter was ongoing and involves a claim for damages of £1 million(!) claiming that amongst the removal of possessions from Mr Diaz’s letting were: various I.T equipment, 3 emerald gemstones value £250k, a 1487 rare book with a value of £110k and a 1383 bible he paid £15k but had a valuation of £1.65 million! The Landlord was totally in denial about taking any possessions. There were no witnesses in attendance at court. Mr Diaz was on Jobseekers Allowance. There were details of his purchase and ownership of the items in question at length in court. The judge found his account wholly incredible, awarding a nominal £5,000 for possessions that could be reliably inferred. Including a clause in the tenancy agreement, further to the requirement of vacant possession, as to action taken in conjunction with TIGA in the event of any goods left at the property. A landlord may wish to use a clause similar to the mortgagees in the two cases above. Whilst remaining mindful of the clause not conflicting with TIGA or the CMA. 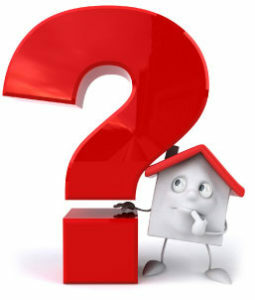 What are the circumstances of the tenancy ending? Did the tenant notify their intention to leave and end their tenancy? If so, this should ideally be in are recordable form (at the very least, text message). Do you find that there isn’t any communication from the tenant about ending their tenancy and do you believe that the tenant is abandoning a property? If so, be very wary of moving any tenant possessions until either you comply with the Abandonment process of the Housing and Planning Act 2016, Sec 57-63. Or else you obtain a court order for Possession and the bailiffs facilitate Possession. We look at when there hasn’t been any communication about ending a tenancy. A landlord should be very wary about their grounds for even entering the property. This should only be in an emergency or to secure the premises. In these circumstances, enter with a witness over 18 years of age and ideally, independent. In cases where there hasn’t been indication of surrendering the tenancy. Be mindful that any goods remaining might actually be evidence of a tenants continuing occupation or intention to return. 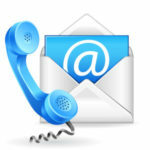 On such occasions, the alternative contact details for a tenant can facilitate a response confirming their intentions. Helpfully pointing out their financially liability (and that of a guarantor, if there is one) continues until they’ve given acceptable notice of their surrender. 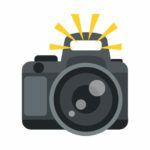 Take Photographs of the property, that includes what is, and isn’t present! When Tenants indicate they are leaving, a check-out inspection shortly before their departure, and afterwards confirms ‘vacant possession’. 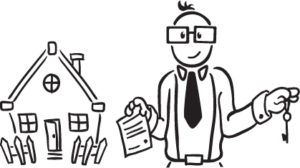 Without damage deductions claims, deal with the deposit with 10 working days of the end of the tenancy. For example, let’s say a tenant has left some rubbish. Take photographs and brief description of the refuse, so you have evidence it was rubbish if there’s a subsequent claim. There may be a partial deposit claim for this which your evidence will help secure. If you are feel confident you can prove its rubbish, you can dispose of it. A Landlord needs to record any other abandoned goods on an inventory and list them on the schedule of items sent with the TIGA Notice. Persevering through the legislation, there now comes the practical aspects of dealing with whatever abandoned goods remain. A landlord may have to demonstrate he is doing what is “right and reasonable”. Justice Hawke, Elvin & Powell Ltd v Plummer Roddis Ltd, 1933. Held as the liability of an Involuntary ‘Bailee’ and is referred to since that time. The origin of the legal definition of a ‘reasonable man’ is said in legal dictionaries to emanate from a 1872 Civil trial of Titchbourne v Lushington. (The later) Lord Bowen describes ‘reasonable’ as what the man on the Clapham omnibus would regard as such. A description of such a person [passenger] was a ‘reasonably intelligent and impartial person not familiar with legal esoterica [complexities] in contemporary parlance. 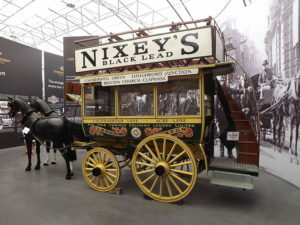 It is still in use as ‘the man in the street’ (and adding the Museum photo of Nixey’s horse-drawn bus). Attending a property after a Tenant’s prior notice has been given about the vacation of tenants. For this purpose, we are assuming no damage deposit deductions. Other than what might arise from expenses of dealing with property restoration to vacant possession. We find the following items (as an example) in the list by our independent witness below, including photographs, in situ. Double-Wardrobe in front bedroom, empty apart from one dirty tie lying on the floor. Wardrobe is a chip-board laminate construction, loose hinge and ill-fitting door. Electric 4 ring cooker, Creda manufacturer. In dirty condition with defective oven door that does not fully close properly. Still connected, only 2 rings operating. Picture on wall in front lounge of country forest setting, signed by artist who’s name is unreadable. Dark Wooden side-board cabinet, 800mm wide, 300 deep and 650 high. Appears solid wood, no manufacturer details visible. Drawers contain some family photographs some of which the landlord believes feature the last tenant. From the last landlord inspection visit on (date), there were numerous items of tenants furniture that they chosen to remove. Such as 3 seater settee, flat-screen television, fridge and beds from both bedrooms. The in-built wardrobe in rear main bedroom is empty of clothing apart from a dirty shirt lying messily on the bottom. What does the above inventory say – infer? That the tenant has taken a substantial amount of their possessions [what they want?]. And left behind a small number of low value, dirty and partly defective items. Immediately note a schedule of the items. Just their underlined broad description, not including condition, will be entering onto the TIGA Notice. Then sent to any next of kin or forwarding address that landlord has been supplied. If there isn’t an alternative address, TIGA Notice to be posted ‘Recorded Delivery’ to the tenant at the property address. Reason: Recorded delivery, because that’s the method stated in the TIGA legislation, and to the tenanted address, that you believe they’ve left (and probably won’t receive), in case the tenant has set up a mail forwarding arrangement with the Post Office. 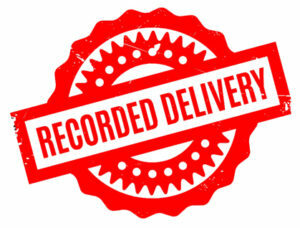 Also, you’ll have the recorded delivery receipt to show your actions. Tenant in receipt of Housing Benefit? If the last tenant was in receipt of housing benefit, contact the Local Authority Housing department, ask to speak with their Tenant Relations Officer (if they have a designated TRO) or someone from that department. Your enquiry is in case the tenant may have approached them to seek assistance with alternative accommodation. The landlord will be well advised to note details of the provision (or lack of) second-hand furniture outlets in that nearest town. As its not going to be cost effective, given the items value to travel any further. Apart from antique dealers, second-hand furniture re-sellers are few and far between. Try an internet search for the town nearest one of your rental properties. Most of the results will be charity shops that take in reasonable quality re-saleable furniture donated for them to sell in middle to upper double-figures to raise money for their (worthy) cause. If an internet search reveals one seller, you could contact them and offer to send a decent photograph of an item that could be saleable. In the inventory list above, that might possibly be only the solid wooden side-board. The furniture shop, may decline your offer to even receive the photograph, as they ‘only deal in antique pine’, note their name and time of your call. Perhaps you can show, send a photograph by email to one of the charity shops? If they don’t want to take it, that really speaks volumes. Take a screenshot of your internet search (it’ll be time and dated). 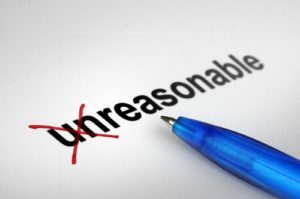 Have you done everything that is reasonable? The stated cases of Da Rocha, and Campbell would suggest so (and there was far more at stake there). 7 days notice was enough in those cases, although subsequent notices and a further period was given prior to disposal. These cases were prior to the CMA37 when the previous OFT365’s ‘revised term for Goods belonging to the tenant’ suggested the landlord’s terms were to retain for up to a month – weren’t even raised let alone challenged. 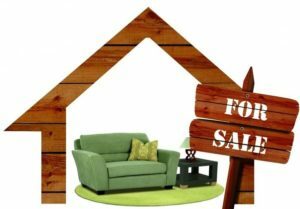 Establish an independent view of the value of abandoned goods (would your independent witness have the items in their home?) and how does that stack-up against the cost to the landlord of 7 days [ TIGA Notice period ] of rent – ‘significant imbalance’ – in landlord’s favour? Detriment to the customer – the tenant has ‘chosen what items to take’ and left the remainder, knowing the terms of their tenancy, i.e. Vacant Possession. 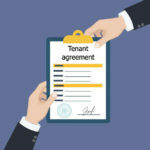 If the tenant was, acting in good faith and experiencing short-term difficulties in removing large items, the landlord’s permission could have been sought. 7 days later, if there’s been no response to the TIGA Notice, landlord considers options. If there’s an outbuilding where the solid wooden cupboard and picture can be stored, that may be an option or offered to a charity shop. Should this be the case, it may be useful to see what prices they’re asking for that or other similar second-hand pieces of furniture. If not, remove the family photographs and the wall picture for a further short period. Possibly another 14 days, because these items are portable and won’t be difficult to temporarily retain. By doing this, it adds to the ‘Right and Reasonable’ evidence (protects against accusations from tenant, e.g. “My landlord skipped the lot!”). 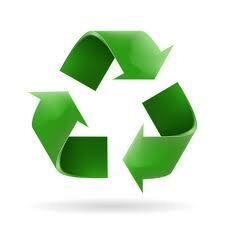 The remainder of the items can be disposed of to the Civic amenity recycling centre. All landlord actions documented and recorded that show reasonable conduct. The actions against Landlords raised at court are mainly outright illegal eviction where a tenant’s possessions have been removed and dumped / outside and locks changed. In which case, there’s a lot more to worry about that a claim for their possessions). Or, inflation of claims such as those outlined in the cases of Da Rocha and Diaz above. Instances where tenants have left low value bulky items and have brought claims against a Landlord are practically unknown (if someone does know of an unreported case, please let us know). This is primarily because there is no legal aid available for Trespass or damage to abandoned goods. You will have to assure a solicitor that there is a significant sum at stake and prospect of success. Before taking a conditional fee arrangement (No-win, no-fee). The Tenant is unlikely to have the funds to initiate a legal action. 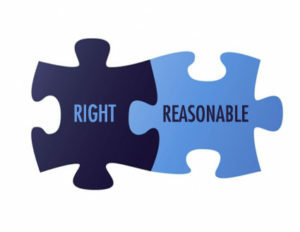 How a landlord can show what they’ve done what is ‘right and reasonable’ can be influenced largely by acting with the knowledge and suggestions of this paper – your feedback is welcome. Stated cases, legislation [ TIGA ] and now the CMA align, so the only remaining anomaly is the How to Rent Guide! See ‘Clear Up‘ below. The CMA OFT365 previously suggests that this ‘period where a landlord had to give a tenant [ Bailor, as they’re known in the Tort’s (Interference with Goods) Act 1977 ] notice to remove any abandoned goods, was up to 28 days. This has been withdrawn (stated as did not take account of developments in case law, legislation, or practices since its original publication. It should not be relied on either as a statement of the law or CMA policy) and CMA 37, para 5.32.5 now deals with the issue as the landlord having to be fair and abide by the Torts Act, as quoted above. The legal position in accordance with the Torts legislation, is that the landlord must give the tenant a notice complying with Section 12 (1) and (3) of Intention to Collect and sell the abandoned goods. Both these served Notices giving 7 days for tenants to remove all their goods and were Upheld by the Appeal courts. 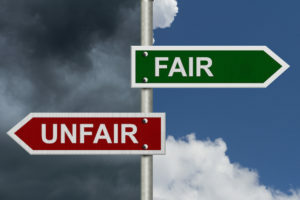 The CMA37 refers to The Fairness Test, and there being ‘No significant imbalance between the parties to a contract, No detriment to the consumer and good faith’. Where the tenancy agreement / legal contract agreed between both parties to which their equally bound, provides for the Tenant paying rent until the end of their tenancy, whereupon they agree to give up vacant possession – there is NO imbalance, let alone significant imbalance. Landlords have to move the property on to the many waiting tenants for accommodation, whilst the landlord still has to service the financial commitments. As for ‘Good Faith’ – the expectation and practice of good faith, is both parties keeping to what they’ve agreed and committed to. 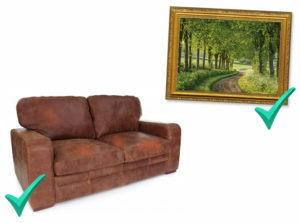 In cases where tenants have left some used bulky furniture behind, AFTER they have chosen to remove the rest of their belongings, cannot be fair to a Landlord where the value of the items is next to worthless. The Tenant has had every opportunity to remove them with the rest of their possessions and their value is far out-weighed by 7 days loss of rent. Case law above refers back to and has upheld the duties of an Involuntary Bailee (landlord) as having to do no more than what was ‘right and reasonable’. Where a tenant has ‘chosen’ not to remove goods, eminent case law above did decide that a 7 day Tort compliant notice is sufficient (even where the property was of substantial value). 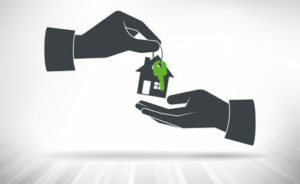 Leaflets that purport to suggest otherwise than the law are not helpful to tenants, or landlords and will only serve to keep more property unavailable for accommodation for longer than is necessary. Can I suggest the relevant part of the How to Rent guidance is updated to reflect ‘Fairness to ALL parties’, and of course, legally compliant.